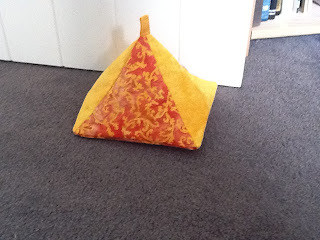 Nothing better than summer holidays I reckon, heaps of time to clean the house (...), do the washing (!!!! 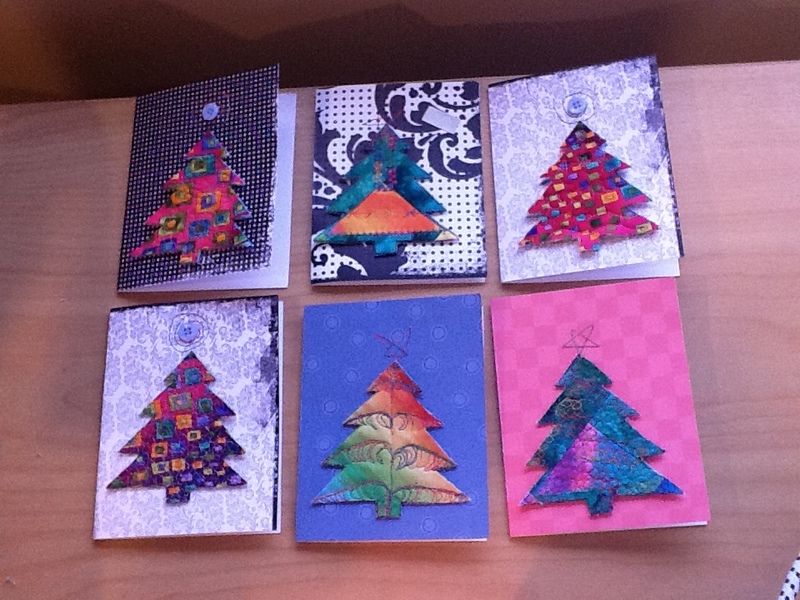 ), yell at the kids (sometimes) and catch up with friends! I once again realised that my stash is much bigger than it should be I think, and part if this is a pack of batik charm squares I would love to do sth. with. 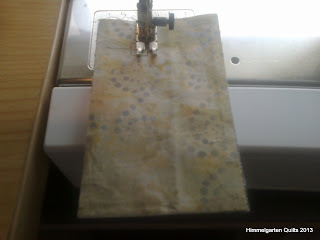 After consulting my expert quilting friend Suz I decided I will chop at least some of them, and being a real copy-cat I tried out the double disappearing nine patch as seen on http://afewscraps.blogspot.com/2011/08/double-disappearing-nine-patch.html and on http://suz-allthegoodonesaretaken.blogspot.com/search/label/Double%20Disappearing%20Nine%20Patch. 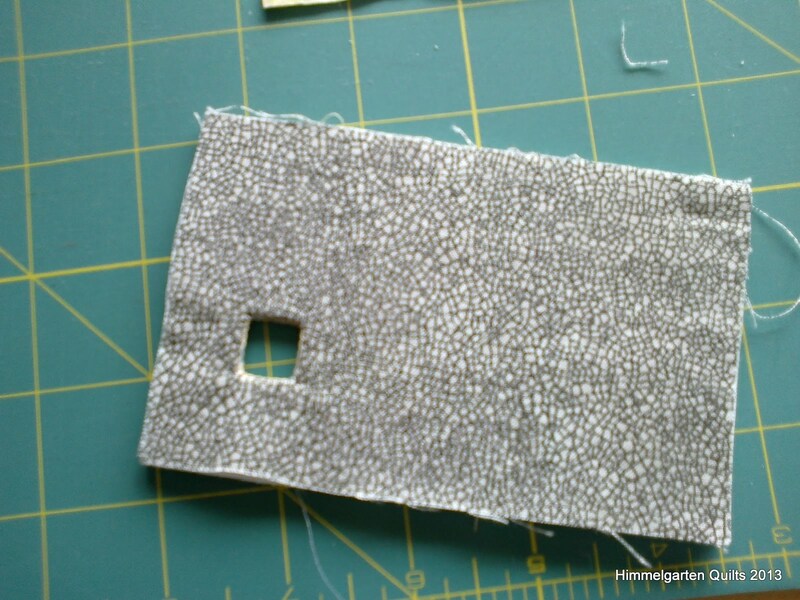 Looks quite neat despite the cheap and cheerful white fabric - I had the intention of trying it out with a black with white flowers Moda fabric, not sure yet, I like it with white. Definite bonus there are hardly any seams to match, and starting with 5" squares you end up with 10" blocks - nice size to make it into a bedquilt??? So school is finally finished for the year and I am not even employed really until my permanent job starts up from 26 January - even got my holiday pay in one lump sum, VERY dangerous before Christmas... To be a good girl I paid those pesky bills yesterday and I decided against driving to the city, too - might have to go past the closest sewing shop though, I really need some calico for a screen printing project I am itching to do. 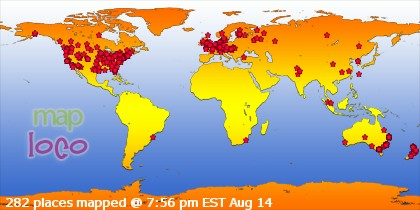 What have been up to? Last Monday night was primary school prize giving, Tuesday my youngest turned 7 (!!!) and I saw about 12 of the expected 150 parents for parent interviews, Wednesday intermediate school prizegiving, Thursday Y8 graduation, Friday last day and work xmas do which turned out to be a non-event for me as times were mucked up and I needed to be home before DH took off for night shift, Sunday 7y old birthday party at the Northland Fire House Museum and now we're finally up to the holidays!!! First, measure your phone height A and width B, then add the depth to that = B1. 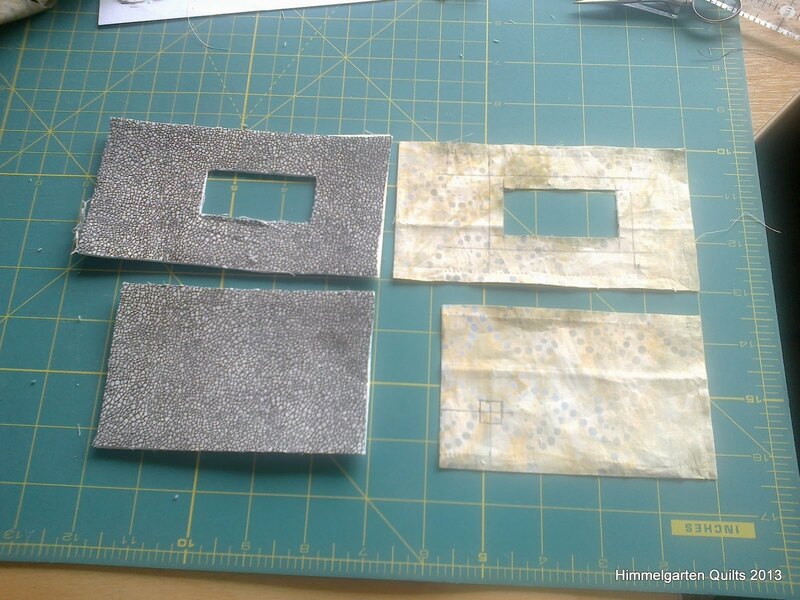 For my prototype I added a little flap go from front to back, so I added 1” to A = A1 – I would not bother with that again. 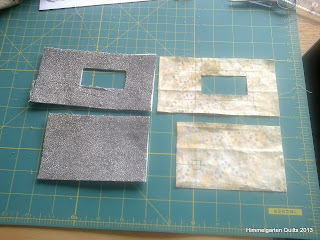 Iron interfacing(s) to wrong side of your inner(s). 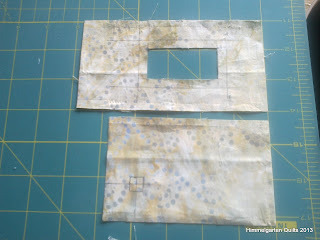 Front piece: On the wrong side of your outer front piece, draw the size of the window you want to leave open for the screen. Go ¼ “ in from this and using your sharp scissors, cut it out. 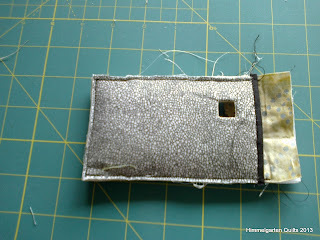 Now place fused inner and outer back pieces together, right sides facing, and sew the seam of your window. 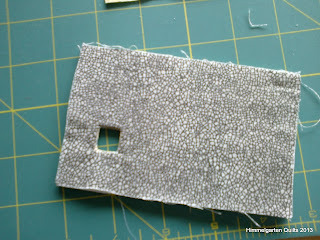 I went around it twice, because there will be strain on the seam. Turn your outer fabric through the window. 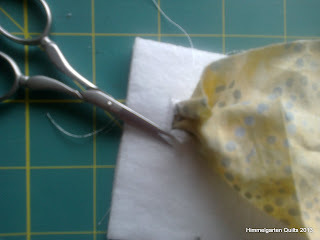 You will find there is too much bulk from the seam allowance, so carefully cut it back close to the seam. 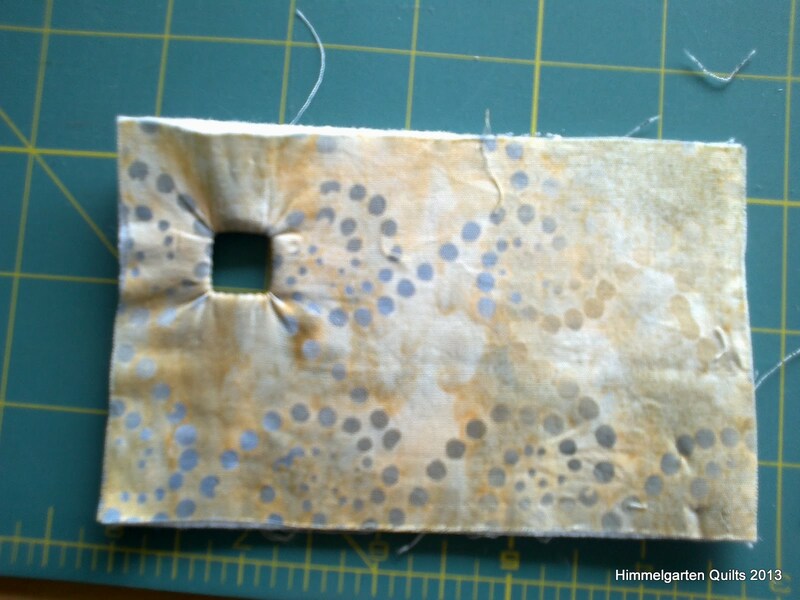 Smooth outer and iron to interfacing. 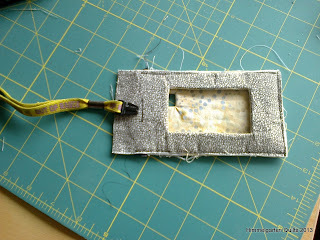 (the mysteries of blogging - why does this photo imports on its side???) You can see the camera is on the left, so the marking on the wrong side of the outer fabric should have been on the right. 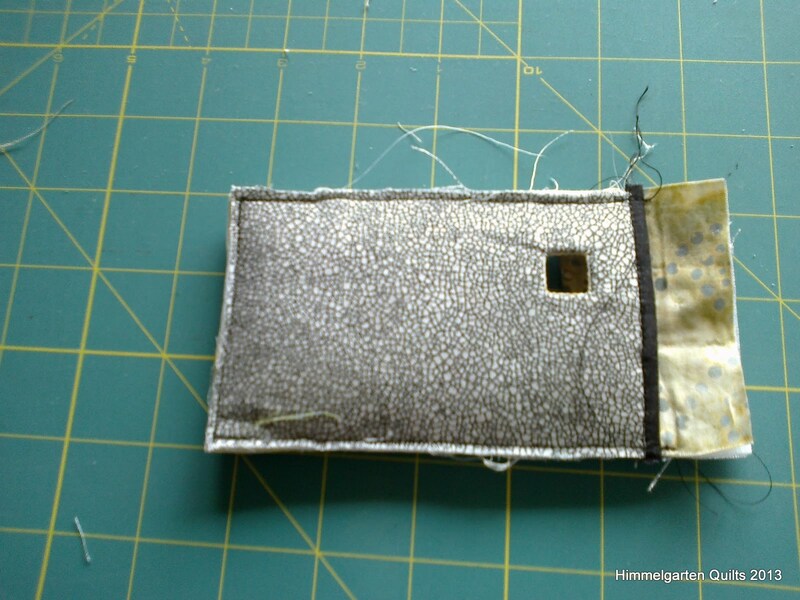 To turn the outer fabric through the small camera window, cut an X into the square you have sewn and with the help of an icecream stick or similar gently poke the outer fabric to the other side. 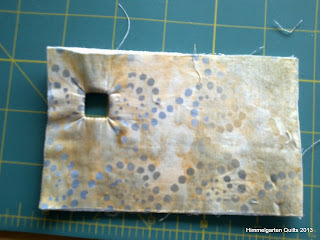 Again, cut bulk back, smooth and iron outer to interfacing. Optionally you could now decorate the pieces to your heart's delight with fancy stitches, hand embroidery etc. etc. 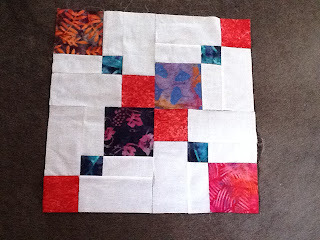 I chose to go for plain simply because I wanted to get on with (have always loved instant gratification projects!). 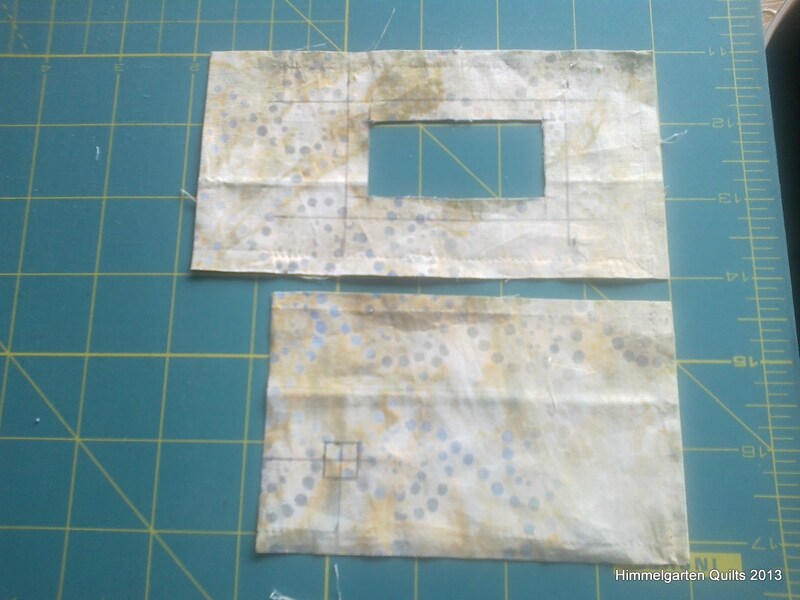 Put front and back pieces together, wrong sides facing. Sew with 1/8” seam. 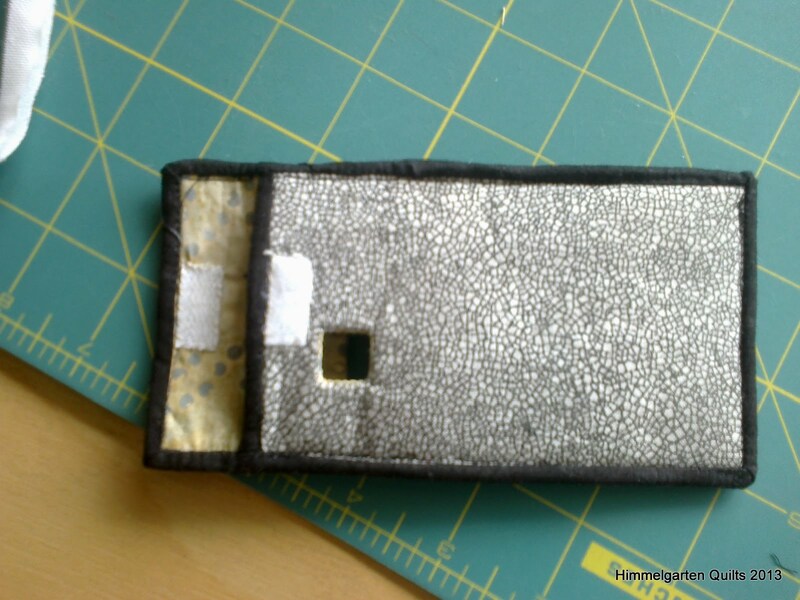 Try the fit with your phone, if there is too much room, just make the seam allowance bigger. 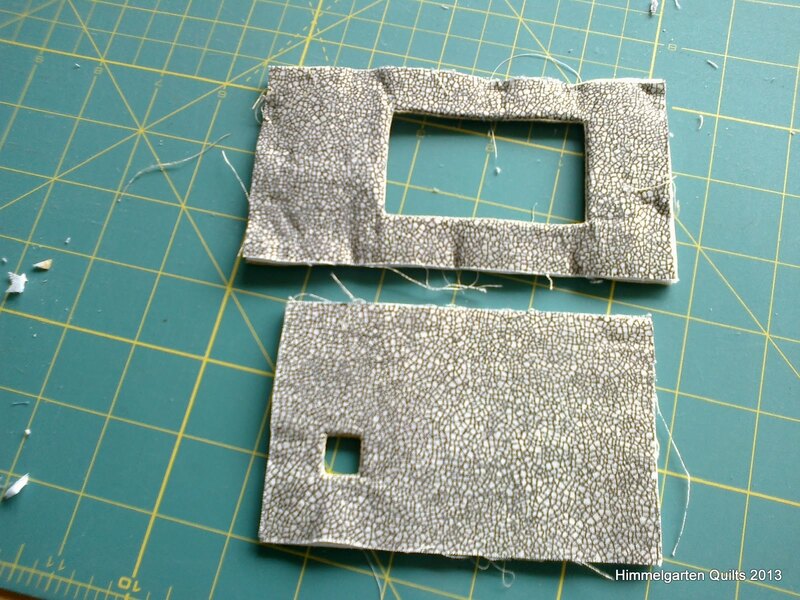 Closing: I hand stitched two small pieces of Velcro to the flap and the back after finishing the binding (clever people would probably do that some time before and by machine :-)). 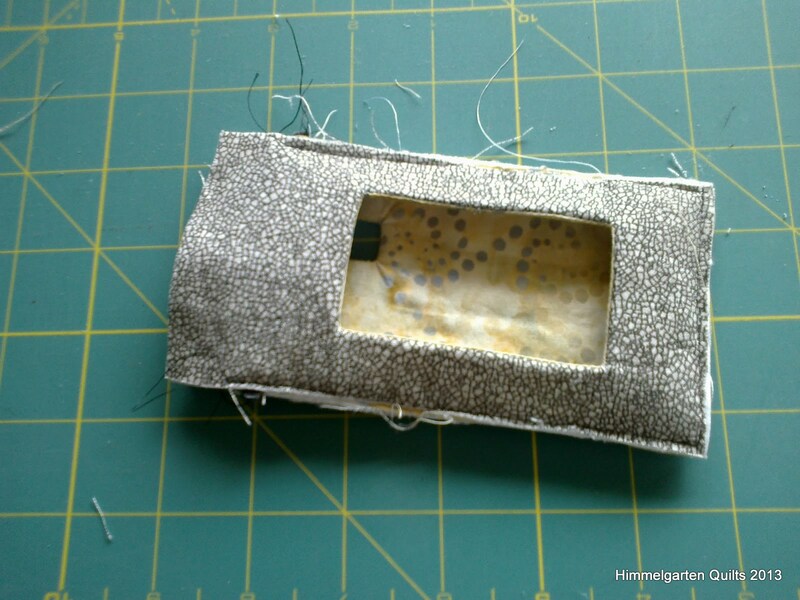 Next time I would use a ribbon, string or elastic and attach a small loop to the front when I add the binding and just put a little button to the back. ‘Hang it around your neck thingy’ / Lanyard or neckband: I simply attached a lanyard to the phone and added a button hole to the top of the flap [note to self: Next time try out button hole stitch first as you don’t know what you are doing!!!]. Instead someone clever might want to attach cord / string or similar to the sides of the bag, either sew on with or after binding, or maybe use some small rings. I would be keen to see what others come up with! 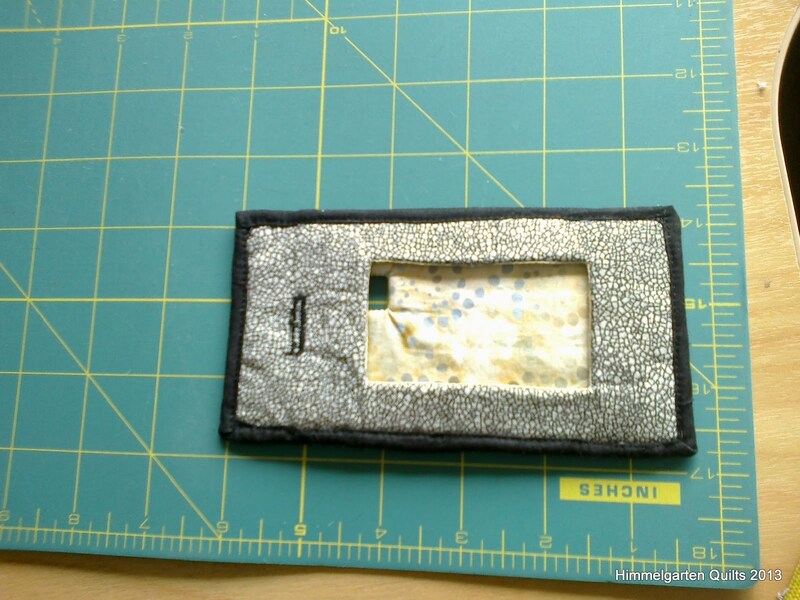 If your phone has buttons hidden by the fabric, you could stitch some designs on it to remind you where they are hidden. 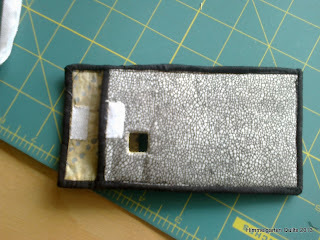 You could also add a small opening for the charger. 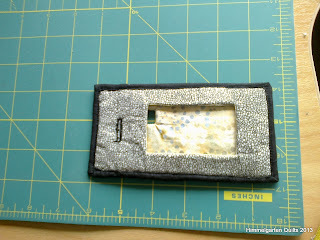 Here is the link http://theslightlymadquiltlady.blogspot.com/p/collaged-fabric-book-cover-tutorial.html?showComment=1323422623850 (once again, please copy and paste - iPods...). Apart from that, not much happening on the quilting front, with the boys' school prize givings, christmas parades, 7y old birthday, my school's report evening and prize giving and graduation ceremony I simply can't wait for next week Friday!!!!!!!!!! I have to admit, I find those log cabin blocks quite addictive. I have not quite completed 8 of them now, and I find myself wondering if I should really just have 2 x 4 blocks between the dino panels? Obviously still photographically challenged, I have turned it right side up and saved it, but it won't let me display it - must be some ghost it the machine?!? It has been absolutely pouring today, great for the water tanks, the garden, the pool, but now it's enough thank you, so hopefully tomorrow when I haven't got time to quilt the sun will come back out again!!! QUESTION: Why does Mystifuse not come paper backed? 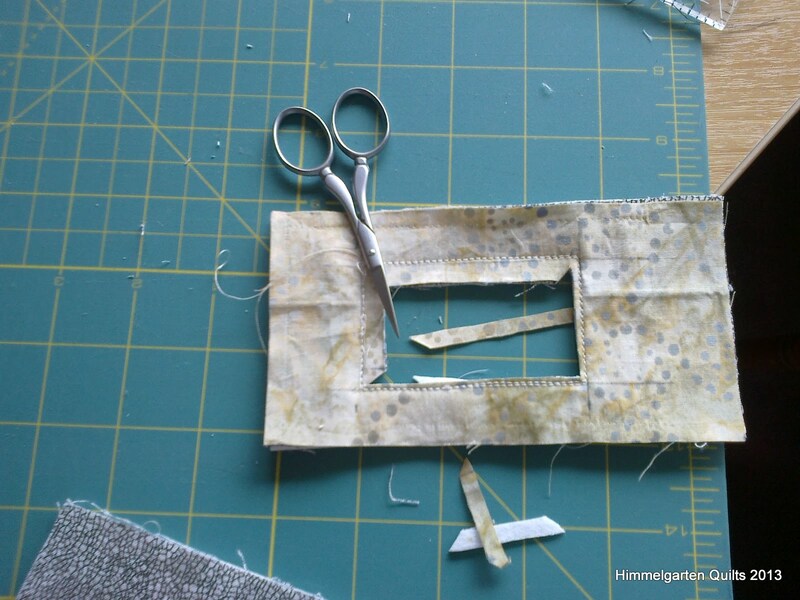 What do I need to use it like paper backed fusible web? Does a teflon sheet help????? Any advice much appreciated, I really like the feel of it but I wish I would have had less hassle and waste!!!! I spent the day in the next city today, a good 80km south, home of the most northern traffic lights in New Zealand (the country does continue for a few hundred kms north - but hey, who needs traffic lights or even round-abouts when your biggest traffic jam is caused by moving stock lol). Talked to the specialist about oldest DS's Diabetes (type 1), went to numerous shops for birthday and advent calendar presents, spent an unbelievable amount of money on a glorified mp3 player (speak iPod Touch) on request of the boys (push-over mother...) and on the way home I made a quick stop at Bramble Cottage because I wanted to get some black-on-black fabric - LQS didn't have any last weekend. There I cam across "Mortimer" by Castilleja Cotton, check it out on www.castillejacottom.com/xcart/Mortimer-Quilt-Pattern.html (copy and paste in your browser window, I tried linking it but at least in the preview it didn't work). My very first quilting project was a Crazy Patchwork kit from Spotlight which still is a UFO. But shortly after that I joined a Beginners Sampler Class at Grandmother's Garden in Gordonton (Hamilton) run by Ngaire Brooks (started in Jan 2006). My youngest was just moving out of the cot, so I knew I wanted to make it for him. 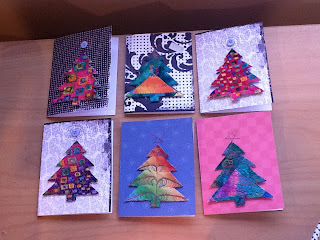 As in all beginner sampler courses, Ngaire introduced us to a variety of techniques incl. 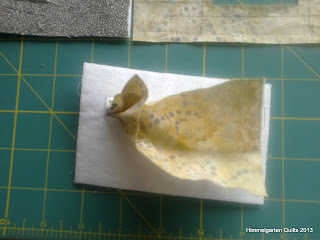 paper piecing etc. 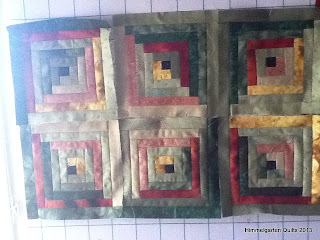 While I wasn't too bad at it, I have never felt compelled to go back to handwork. 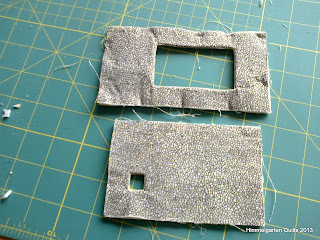 My biggest challenge at the time were accurate cutting and accurate 1/4' seams - my old machine had no such foot and my eye wasn't all that good even with tape markings. Regardless, he still sleeps under it, though the new dinosaur quilt will be for him, too.